HomeHEALTH INFORMATIONFAQsPatient SupportAfter Preeclampsia: Another Pregnancy or Not? If you’re one of the thousands of women who experienced severe preeclampsia or HELLP syndrome, then you probably have more questions than answers about deciding whether to get pregnant again. It can take time to recover from any pregnancy that didn’t go as planned, but especially a potentially traumatic experience like preeclampsia or HELLP syndrome. You may have experienced fear, grief, NICU time, complications with your own health, or the death of your baby. Research suggests the risk of having preeclampsia again is approximately 20%, however experts cite a range from 5% to 80% depending on when you had it in a prior pregnancy, how severe it was, and additional risk factors you may have. If you had preeclampsia during your first pregnancy, you may get it again. While repeat occurrence is often less severe, no one can predict for sure. If you've had preeclampsia in a previous pregnancy, you and your healthcare provider should carefully monitor you and your baby during your current pregnancy for any signs or symptoms. Your doctor may also decide to start you on low-dose aspirin before getting pregnant or during the first trimester of your pregnancy. Taking aspirin does not guarantee that you will not develop preeclampsia. It’s simply one more thing that women can do with relative safety to reduce their overall risk. Although you didn't have preeclampsia during a second pregnancy, you may still be at risk for the condition during a subsequent pregnancy. Make sure you review your history of preeclampsia with your healthcare provider. As with all pregnancies, being aware of warning signs and symptoms and responding to them quickly is very important. Find a medical specialist (usually a maternal-fetal medicine physician) who values you as a partner in the process. You should be able to trust your doctor, and you both recognize that together you bring the whole truth – you about your body and he/she about high-risk pregnancies. Your doctor should understand and accommodate your mental and emotional needs, as well as care for you with sufficient monitoring and the latest medical information. Go into the decision as an informed, empowered patient. Do the “medical diligence” – get the second opinions, examine any underlying risk factors or health issues that may affect a future pregnancy, and get them under control, as needed and if possible. Understand your personal risk, based not only on population-wide statistics, but also on your personal situation. Do everything you can to reduce your risk: get healthy, take low-dose aspirin and other vitamins and supplements that you may need, and address environmental concerns. Essentially do what you can while also recognizing that nothing absolutely prevents preeclampsia. Most women will get a clean bill of health and a high degree of confidence that this won’t happen again or at least not with devastating outcomes. If you decide to try again, find ways to minimize your anxiety. Make sure you have a strong community to support you emotionally and spiritually. Share your plans and concerns with supportive friends, family, or clergy. If necessary, talk to a therapist or grief counselor. 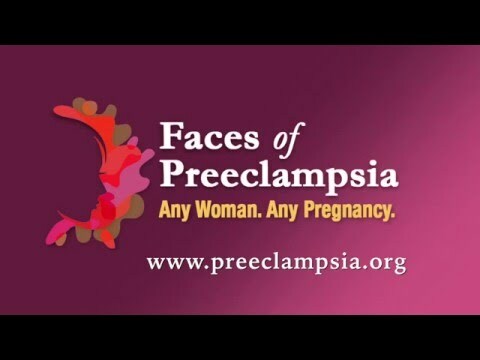 Visit the Preeclampsia Foundation Community Forum to connect with other women who have experienced preeclampsia and/or HELLP syndrome. Many women help ease their negative emotions by doing something positive, like participating in The Preeclampsia Registry to advance preeclampsia research. If your current healthcare provider has advised against getting pregnant again, you may wish to seek a second opinion and weigh your options. Sometimes a doctor will advise against a future pregnancy to err on the side of caution for your safety and well-being. However, even a well-meaning obstetrician may not have the experience to provide this advice. We advise all women in this position to seek a pre-pregnancy consultation with a maternal-fetal medicine physician who specializes in preeclampsia and related disorders. They can review your medical history, evaluate potential underlying disorders, and give you a more clear idea of your risks. It’s important to remember, however, that preeclampsia is life-threatening. If specialists tell you a future pregnancy will endanger your life, take that advice seriously. Women do go on to have healthy pregnancies and babies after experiencing preeclampsia and HELLP syndrome. However, if you decide that pursuing another pregnancy isn’t the right choice for you, you’re not alone. According to The Preeclampsia Registry™, 28% of the 424 preeclampsia survivors who responded to a recent survey indicated that they decided not to have another pregnancy. Another 9% were considering or already pursued adoption, and 5% were considering or already pursuing surrogacy. Of those who decided to get pregnant again, 41% will seek or already sought preconception counseling by a high-risk specialist.